1.1 Your use of Molly Bears products, services and web sites (referred to collectively as the “Services” in this document and excluding any services provided to you by Molly Bears under a separate written agreement) is subject to the terms of a legal agreement between you and Molly Bears. “Molly Bears” means Molly Bears Inc., whose principal place of business is at 868 Hopwood Lane Virginia Beach, VA 23455, United States. This document explains how the agreement is made up, and sets out some of the terms of that agreement. 1.2 Unless otherwise agreed in writing with Molly Bears, your agreement with Molly Bears will always include, at a minimum, the terms and conditions set out in this document. These are referred to below as the “Universal Terms”. 1.3 Your agreement with Molly Bears will also include the terms of any Legal Notices applicable to the Services, in addition to the Universal Terms. All of these are referred to below as the “Additional Terms”. Where Additional Terms apply to a Service, these will be accessible for you to read either within, or through your use of, that Service. 1.4 The Universal Terms, together with the Additional Terms, form a legally binding agreement between you and Molly Bears in relation to your use of the Services. It is important that you take the time to read them carefully. Collectively, this legal agreement is referred to below as the “Terms”. (B) by actually using the Services. In this case, you understand and agree that Molly Bears will treat your use of the Services as acceptance of the Terms from that point onwards. 2.3 You may not use the Services and may not accept the Terms if (a) you are not of legal age to form a binding contract with Molly Bears, or (b) you are a person barred from receiving the Services under the laws of the United States or other countries including the country in which you are resident or from which you use the Services. 3.1 Where Molly Bears has provided you with a translation of the English language version of the Terms, then you agree that the translation is provided for your convenience only and that the English language versions of the Terms will govern your relationship with Molly Bears. 4.1 In order to access certain Services, you may be required to provide information about yourself (such as identification or contact details) as part of the registration process for the Service, or as part of your continued use of the Services. You agree that any registration information you give to Molly Bears will always be accurate, correct and up to date. 4.3 You agree not to access (or attempt to access) any of the Services by any means other than through the interface that is provided by Molly Bears, unless you have been specifically allowed to do so in a separate agreement with Molly Bears. You specifically agree not to access (or attempt to access) any of the Services through any automated means (including use of scripts or web crawlers) and shall ensure that you comply with the instructions set out in any robots.txt file present on the Services. 4.5 Unless you have been specifically permitted to do so in a separate agreement with Molly Bears, you agree that you will not reproduce, duplicate, copy, sell, trade or resell the Services for any purpose. 4.6 You agree that you are solely responsible for (and that Molly Bears has no responsibility to you or to any third party for) any breach of your obligations under the Terms and for the consequences (including any loss or damage which Molly Bears may suffer) of any such breach. 5.2 Accordingly, you agree that you will be solely responsible to Molly Bears for all activities that occur under your account. 7.2 You should be aware that Content presented to you as part of the Services, including but not limited to advertisements in the Services and sponsored Content within the Services may be protected by intellectual property rights which are owned by the sponsors or advertisers who provide that Content to Molly Bears (or by other persons or companies on their behalf). You may not modify, rent, lease, loan, sell, distribute or create derivative works based on this Content (either in whole or in part) unless you have been specifically told that you may do so by Molly Bears or by the owners of that Content, in a separate agreement. 7.3 Molly Bears reserves the right (but shall have no obligation) to pre-screen, review, flag, filter, modify, refuse or remove any or all Content from any Service. 7.5 You agree that you are solely responsible for (and that Molly Bears has no responsibility to you or to any third party for) any Content that you create, transmit or display while using the Services and for the consequences of your actions (including any loss or damage which Molly Bears may suffer) by doing so. 8.1 You acknowledge and agree that Molly Bears (or Molly Bears’s licensors) own all legal right, title and interest in and to the Services, including any intellectual property rights which subsist in the Services (whether those rights happen to be registered or not, and wherever in the world those rights may exist). You further acknowledge that the Services may contain information which is designated confidential by Molly Bears and that you shall not disclose such information without Molly Bears’s prior written consent. 8.2 Unless you have agreed otherwise in writing with Molly Bears, nothing in the Terms gives you a right to use any of Molly Bears’s trade names, trademarks, service marks, logos, domain names, and other distinctive brand features. 8.3 Unless you have been expressly authorized to do so in writing by Molly Bears, you agree that in using the Services, you will not use any trade mark, service mark, trade name, logo of any company or organization in a way that is likely or intended to cause confusion about the owner or authorized user of such marks, names or logos. 9.1 The Terms will continue to apply until terminated by either you or Molly Bears as set out below. 9.2 If you want to terminate your legal agreement with Molly Bears, you may do so by (a) notifying Molly Bears at any time and (b) closing your accounts for all of the Services which you use, where Molly Bears has made this option available to you. Your notice should be sent, in writing, to Molly Bears’s address which is set out at the beginning of these Terms. (E) the provision of the Services to you by Molly Bears is, in Molly Bears’s opinion, no longer viable. 10.1 Nothing in these terms, including sections 14 and 15, shall exclude or limit Molly Bears’s warranty or liability for losses which may not be lawfully excluded or limited by applicable law. Some jurisdictions do not allow the exclusion of certain warranties or conditions or the limitation or exclusion of liability for loss or damage caused by negligence, breach of contract or breach of implied terms, or incidental or consequential damages. Accordingly, only the limitations which are lawful in your jurisdiction will apply to you and our liability will be limited to the maximum extent permitted by law. 10.5 No advice or information, whether oral or written, obtained by you from molly bears or through or from the services shall create any warranty not expressly stated in the terms. 10.6 Molly bears further expressly disclaims all warranties and conditions of any kind, whether express or implied, including, but not limited to the implied warranties and conditions of merchantability, fitness for a particular purpose and noninfringement. 11.1 Molly Bears will cover the cost of shipping up to $15.00 USD. Party is required to pay any cost over that amount. 11.2 The limitations on Molly Bears’s liability to you in paragraph 15.1 Above shall apply whether or not molly bears has been advised of or should have been aware of the possibility of any such losses arising. 11.4 Shipping outside of north america party is required to pay. (B) we will ship orders to countries outside of the united states. However, please be aware that is it possible for the customs agency in your country to ‘flag’ your package. When our packages are ‘flagged’, the customs agency opens and inspects our packages. In doing this, they charge a fee for their services. Customs then holds the package until the fees are paid. Please be aware that you will be responsible for these fees. Molly bears will not pay for these charges, and we have no control over which packages may or may not be assessed a fee. If you have further questions or concerns regarding this issue, please contact your local customs agencies for more information. 13.2 The manner, mode and extent of advertising by Molly Bears on the Services are subject to change without specific notice to you. 13.3 In consideration for Molly Bears granting you access to and use of the Services, you agree that Molly Bears may place such advertising on the Services. 14.1 The Services may include hyperlinks to other web sites or content or resources. Molly Bears may have no control over any web sites or resources which are provided by companies or persons other than Molly Bears. 14.2 You acknowledge and agree that Molly Bears is not responsible for the availability of any such external sites or resources, and does not endorse any advertising, products or other materials on or available from such websites or resources. 14.3 You acknowledge and agree that Molly Bears is not liable for any loss or damage which may be incurred by you as a result of the availability of those external sites or resources, or as a result of any reliance placed by you on the completeness, accuracy or existence of any advertising, products or other materials on, or available from, such web sites or resources. 15.2 You understand and agree that if you use the Services after the date on which the Universal Terms or Additional Terms have changed, Molly Bears will treat your use as acceptance of the updated Universal Terms or Additional Terms. 16.1 Molly Bears Artists have the right to create your bear with their own interpretation of special requests. 16.2 Special requests are limited to a maximum of two (2) requests. 16.3 All of our bear shells have weight restrictions and our inventory availability changes frequently. It is possible that you may see a bear shell or decor item that you love, but it may not work for the weight of your angel, or may not be available when the production of your bear takes place. For these reasons, special requests are not guaranteed. Our guarantee is that your bear will match the weight that you provide to the nearest half-ounce. 17.1 Bears are occasionally made with metal weights and sand in them, to ensure the correct weight. Please be advised or when traveling via airport or going through security of any type. 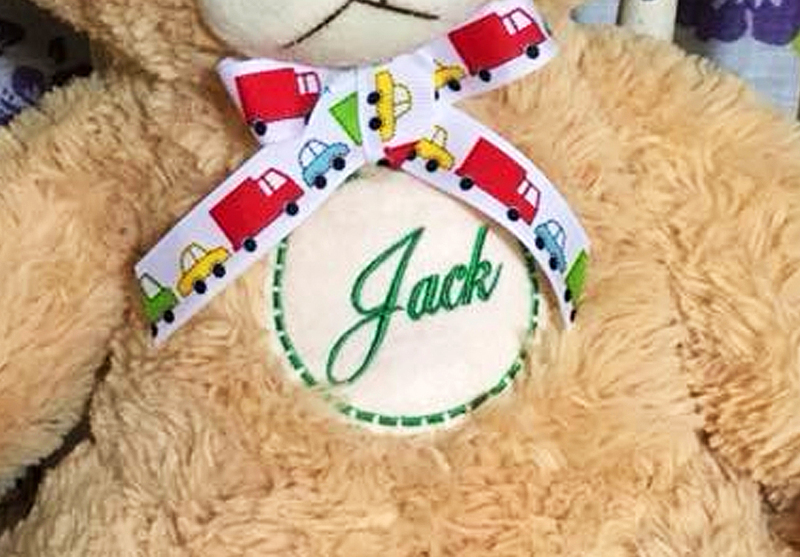 18.1 Molly Bears are not intended or children under the age of 3 due to possible choking hazard, small buttons and embellishments are used on each bear. 19.1 Effective 1/1/2012 - The Molly Bears Board of Directors voted to implement a waiting list fee for every order received. This fee is paid at the time the order is placed. This fee is implemented to help reduce the occurrence of duplicate, or falsified orders. 19.2 The fee is non-refundable. 19.3 The fee does not cover any shipping charges that may be required. 20.1 Definition: Within the Molly Bears organization, the term "Angel" will be used to reference any child that has passed away. 20.2 We will create AT MOST, one bear, per Angel, per family. 20.3 Effective 1/1/2012, Due to the strict requirements of the IRS, our Mission allows us to create weighted bears for families that have suffered the loss of a child up to one (1) year of age. We cannot create bears for children older than one (1) year at the time of passing.